Resuming Ignition Interlock Devices for DUIs: 6 Facts to Know (Pt. 1), here we will continue to point out some important info to know about IIDs for DUI convictions in Colorado. Fact 3 – The requirements for ignition interlock devices will depend on whether people have prior DUI convictions. The term that people must have ignition interlock devices in their vehicles will depend on whether they have prior DUIs. Contact us for the best DUI defense. First-time DUI conviction with a BAC of 0.15 or less – Although there may not be any court mandates regarding the installation of ignition interlock devices, these people can have their drivers’ licenses reinstated early if they have these devices in their vehicles. Generally, this will require people to have ignition interlock devices in their vehicles for 8 months. First-time DUI conviction with a BAC that is greater than 0.15 – Ignition interlock devices will have to be installed and maintained in people’s cars for two years. Second DUI conviction – In these cases, the time frame for having ignition interlock devices will be at least two years. 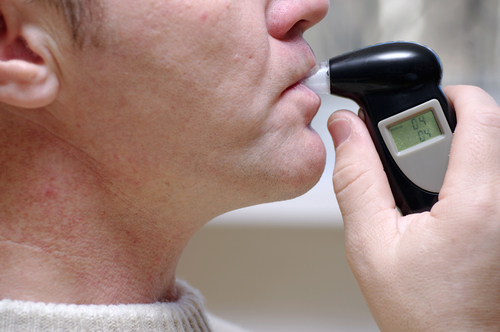 Here, it’s important to note that the specifics of a DUI case can impact whether these time frames are shorter or longer and that, when DUIs involve complications like accidents, injuries or deaths, people may not qualify for use ignition interlock devices for early driver license reinstatement. Fact 4 – Convicted people are required to cover the costs of ignition interlock devices. This may be a little-known fact about ignition interlock devices for DUIs, and it can surprise a lot of people – especially if they must have these devices on their cars for extended periods of time. When it comes to paying for ignition interlock devices, people convicted of DUIs will have to cover the costs of installing the equipment, renting the equipment and maintaining the equipment. To maintain ignition interlock devices – $50 to $100 per month. Be sure to look for the upcoming conclusion to this blog series for some final important info about ignition interlock devices. Have you or someone you love been charged with drunk driving? If so, the Denver and Boulder metro area DUI defense lawyer at Griffin Law Firm wants you to know that he is ready to immediately start providing you with the strongest possible defense. Regardless of whether you have prior DUI convictions, our trusted Denver and Boulder DUI defense attorney will work relentlessly to help you obtain the best possible outcome to your case. In fact, our steadfast dedication to the notion that the accused are innocent until proven guilty means that we will do everything in our power to help you resolve your case in the most favorable and efficient manner possible. From our offices based in Westminster, we provide the highest quality defense services to people throughout the Denver and Boulder metro area, as well as the entire state of Colorado.